alessi holiday angels band figurines style 2. set of two modern christmas decorations in porcelain for a modern contemporary touch to any decor. 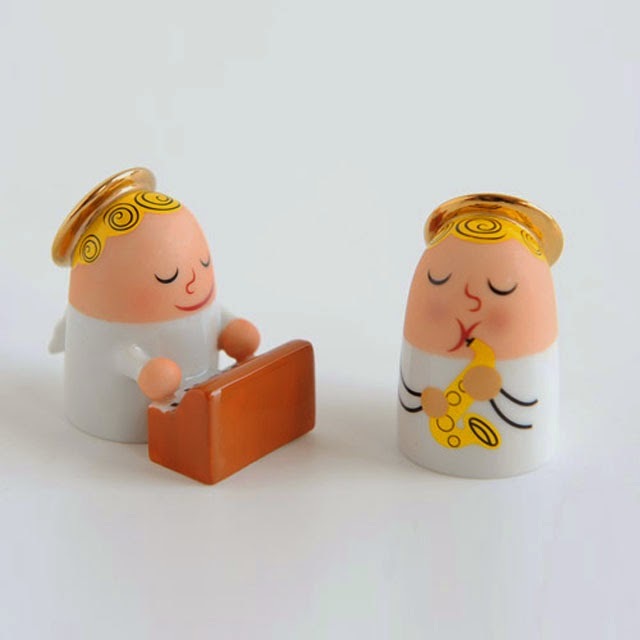 decorate your crib or nativity scene in style with these joyful holiday angels band porcelain figurines by alessi. alessi holiday angels band amgi26set2 holiday figurines (style 2): part of alessi's modern christmas decor and nativity collection made in italy. alessi's porcelain angels band measure 1 x 2 inches each. these adorable nativity figurines is a perfect addition to any alessi collection. crafted from hand-decorated porcelain with a shiny finish, this alessi figurine set is designed to be displayed on its own or on top of a nativity scene.